Professor Sali is President of the International Council of Integrative Medicine and Member of the Scientific Board of European Congress for Integrative Medicine. 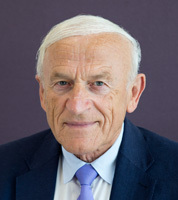 Formerly he was Head of the Graduate School of Integrative Medicine, Swinburne University; Head of University of Melbourne Dept of Surgery, Heidelberg Hospital and President of the Australasian Integrative Medicine Association. As a highly sought after Integrative Medical expert, Professor Sali regularly contributes to a wide variety of publications in Australia and overseas. He is co-author of ‘A guide to Evidence-Based Integrative and Complementary Medicine’ published in 2011. Professor Sali is also on the editorial board of several medical journals and reviewer of articles for other health related publications. For more information on Professor Sali please visit his institute biography.